While there are loads of pitfalls one could potentially fall into in life and business, there are just as many ways to avoid them. In this episode, I am talking about one huge key factor in staying out of black holes, pitfalls, and otherwise time-sucking and confidence-crushing situations in your business. This episode is all about being proactive and how to set yourself up for being in a proactive space more often than not. You’ll hear me talk about the difference between being proactive and being reactive, and how each influences your business and productivity. 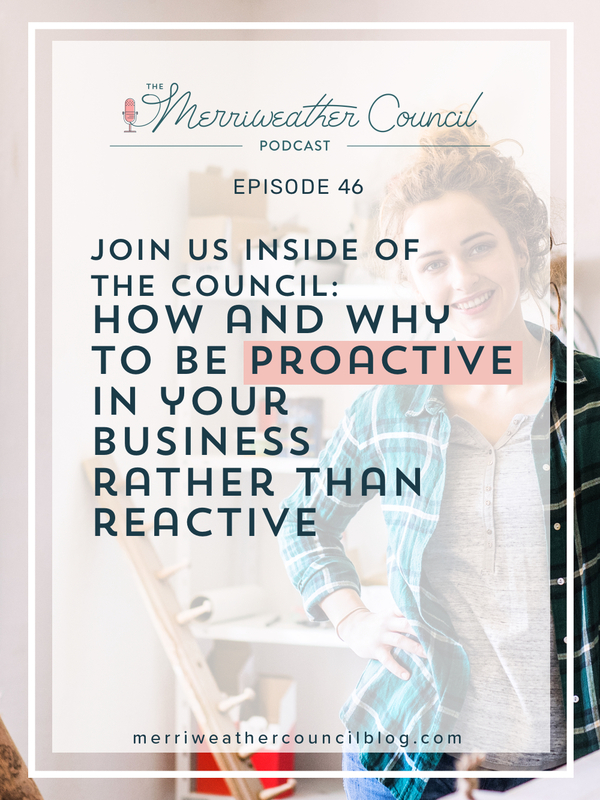 If you are nodding along and thinking, “hell yes, I feel that” about being proactive in your business, then you’ll definitely want to join us inside of The Council! The Council is our monthly membership experience for makers in business who are interested in growing sustainably without overwhelm. Already loaded with content to help you get prepped for prosperity, The Council offers ongoing support and education to savvy makers who know that the key to success is managing their time better through realistic and concise lessons, and without crowd-sourcing (which we will be speaking about on the next episode!). Interested? Click here for all the details on The Council and to join us before the doors close! Whether you join us inside of The Council or not, I truly hope you’ll take this episode to heart!